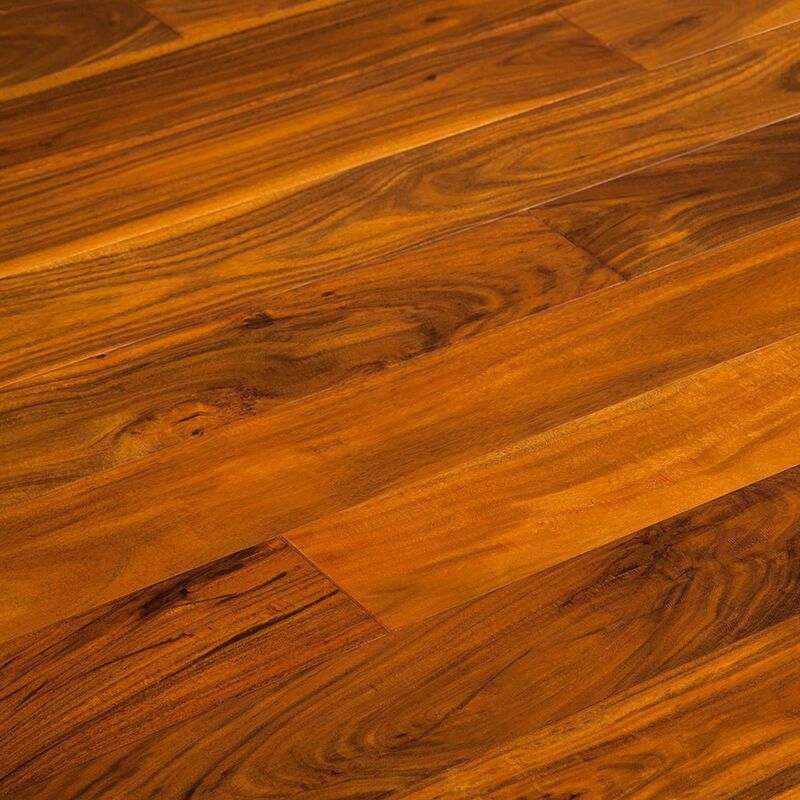 Vanier Engineered Hardwood - Eccentric Acacia Collection Handscraped Vellum / Small Leaf Acacia / 4 3/4"
Handscraped Vellum / Small Leaf Acacia / 4 3/4"
Small Leaf Acacia blends a beautiful assortment of colors in its hand scraped 9/16 x 4-3/4 offering. When you're walking on Acacia, you know it. In fact, you won't be able to take your eyes off of it. Its medium to dark brown heartwood is tinged with vibrant reddish orange and accented with light yellows. It's a floor you won't forget after you see it. In fact, order a sample today and see it for yourself. Small Leaf Acacia has higher density, so it’s a lot harder, full of character, with more knots and a swirling grain. Fillers color vary.